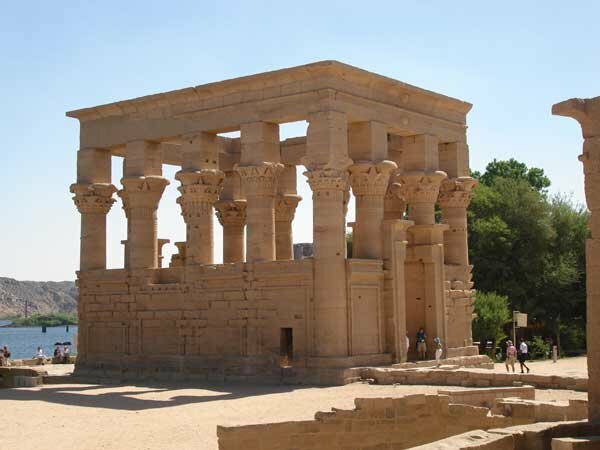 Egypt and Art > Tour Map of Egypt > Tour Philae Directory. > The Kiosk of Trajan. . . . . .The rust colored object in the water, is the dike that was built for the rescue of the temples of Philae. This marks the original location of the island.